Samsung Galaxy Tab 2 Titanium Silver 16 GB tablet is slim and stylish. It offers you bright and clear, high-quality 10.1" display screen. Now enjoy watching movies, video streams, surf millions of web pages, play thousands of games, and access content from your TV, all from one device. It offers easy navigation through controls, contents, and applications with the smooth touch screen experience. It is upgradeable to 32GB storage capacity sufficient to add additional applications, videos, images, music, games, documents, E-books and more. 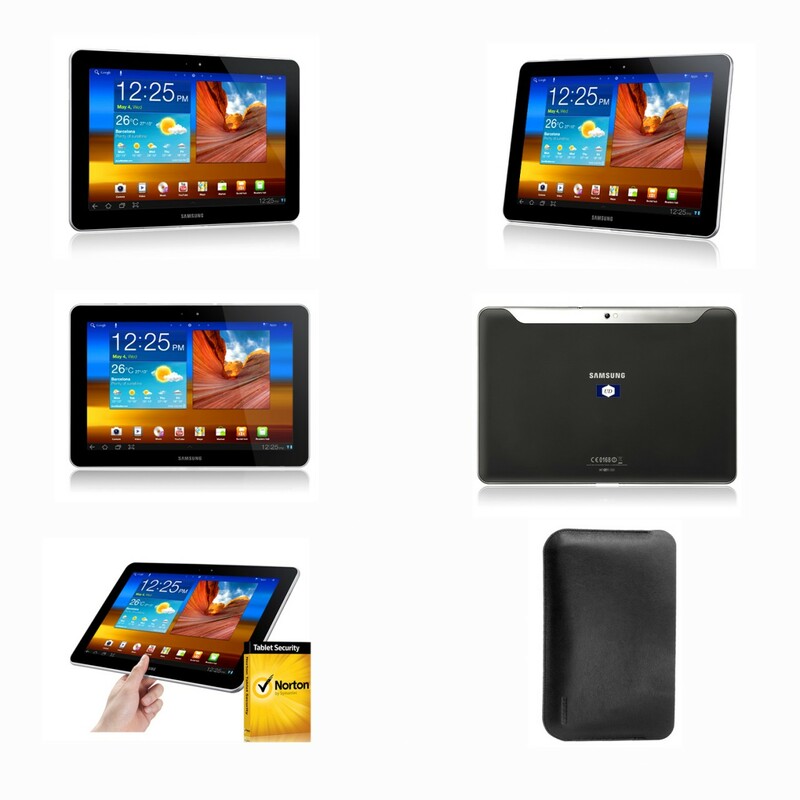 Samsung Galaxy Tab 2 is designed with Wi-Fi® capability now it is easy to carry and use your tablet anywhere. It provides easy access to the Internet on the go, so you can stay connected with family and friends even when you are on the move via chat, various social networking sites, emails, and a lot more. It is light weight and lightning fast Dual-Core processor with the latest Android 4.x Jelly Bean operating system for faster multitasking operation and rich web browsing experience. Choose easy installation of thousands of useful application flavors through the Android Marketplace as to everything your heart desires. Are you falling in love you should it is the best entertainment companion without breaking the bank. For limited time offer receive your free copy of Norton Tablet Security software and Samsung Galaxy Tab 2 Pouch with purchase of a new Samsung Galaxy Tab 2 tablet from Ultra Digital. 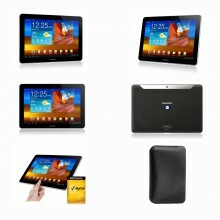 · Receive one year free subscription of Norton Tablet Security software downloadable and includes activation code card. Source: Samsung® is a registered trademark of Samsung Electronics Co., Ltd.
10.1" x 6.9" x 0.38"
Click the button below to add the Samsung Galaxy Tab 2 10.1" 16 GB Tablet-1 GHz-Titanium Silver + Norton Security to your wish list.